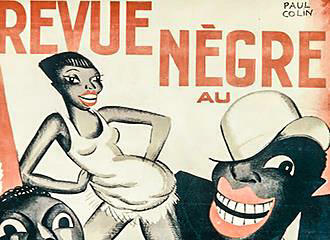 You will find that the Musee de la Publicite has a very impressive collection of around 50,000 posters that date from the 18th century right through to World War II, yet alone the 20,000 or so contemporary posters that date from 1950 to the present day, which of course is constantly expanding. 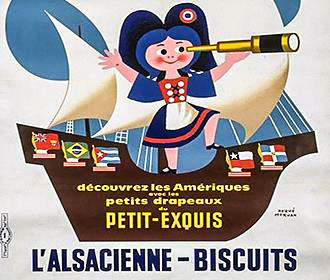 Yet the museum also has over 20,000 French and foreign advertising films that date from the 1930s through to present times, along with radio commercials, press advertisements that amount to more than 30,000 promotional objects. But as you can no doubt appreciate, not all of these can be on display and many of these are also too fragile to be put on display permanently, therefore the who exhibition changes on a regular basis, so there is always something new to discover every time you are back on holiday in Paris. Yet there is a multimedia library where people can search through the Musee de la Publicite collections, and a reading room to consult the international specialist press, which is great if you are interested in finding out more and cannot view certain items at the time of your visit. Situated on the Rue de Rivoli, the normal access is via 107, however, you may be pleased to know that there is disabled access via 105 Rue de Rivoli, and the Musee de la Publicite is open from a Tuesday to a Sunday from 11am through to 6pm. However, it also has a late opening until 9pm on a Thursday, yet is closed on a Monday and on all National French holidays. Now because there are different museums that are linked with Les Arts Decoratifs, there are also different rates depending upon what you want to visit, and as of 2013 the Musee de la Publicite is a cost of €9.50 with an audio guide included. But you can also get a combined ticket to all the museums located at the Rue de Rivoli for €13.50, which includes a ticket to the Nave, or alternatively you can combine them with seeing the Musee Nissim de Camondo museum as well for €18. However, there are discounts available for students up to the age of 25 that are resident within the EU, or those from France that are unemployed and seeking a job, upon proof, of course. Yet free admission is granted to disabled visitors along with those aged under the age of 18. Your will find it located in the 1st Arrondissement within minutes of the Arc de Triomphe du Carrousel that is the smaller triumphal arch commissioned by Napoleon Bonaparte I. But this museum is also very close to the Tuileries Gardens and the most famous of all museums, probably in the world, called The Louvre, where you can find the Mona Lisa painting among many other fabulous works of art. However, you are also within a walking distance of the River Seine and the Place de la Concorde, which was where Marie Antoinette was beheaded during the French Revolution, that is now home to the oldest monument in Paris called the Luxor Obelisk. Yet a stones throw further and you are at the Champs Elysees heading towards the Arc de Triomphe, if your feet will allow, of course. But if not, you can always utilise the public transport in Paris such as the Metro on the Palais Royal - Musee du Louvre stop vial lines 1 or 2, or alternatively, the Tuileries stop via line 1. However, just a little further walk and you have the Pyramides stop on lines 7 or 14 or the Louvre - Rivoli stop. Yet as an alternative, you can utilise the bus on numbers 21, 39, 48, 68, 81 and 95 along with the Batobus, which is the water bus that travels up and down the River Seine in addition to the tours in Paris such as the l’Open Tour bus tours that also stop nearby. 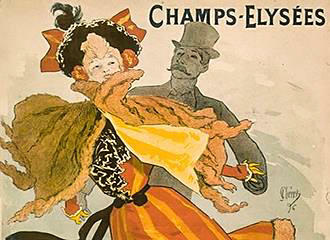 Advertising takes on different forms of artistic creation and social trends and originally this museum in Paris opened purely dedicated to posters and decorative arts, but later became the Publicity museum. 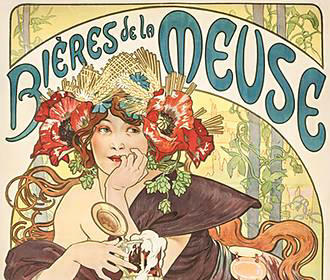 Originally the museum was open opened in 1978 on the Rue de Paradis with the name of the Musee de l’Affiche, and was designed to explore all avenues of decorative arts including ordinary and commonplace aspects. This museum in Paris then moved to the Rue de Rivoli in 1990 and then in 1999, Jean Nouvel designed the permanent exhibition rooms specifically for the collection, and the Musee de l’Affiche was renamed the Musee de la Publicite.